Ford, Vauxhall, and Volkswagen were the most popular car makes in the UK for the first nine months of 2012. The Ford Fiesta was the top-selling car model. 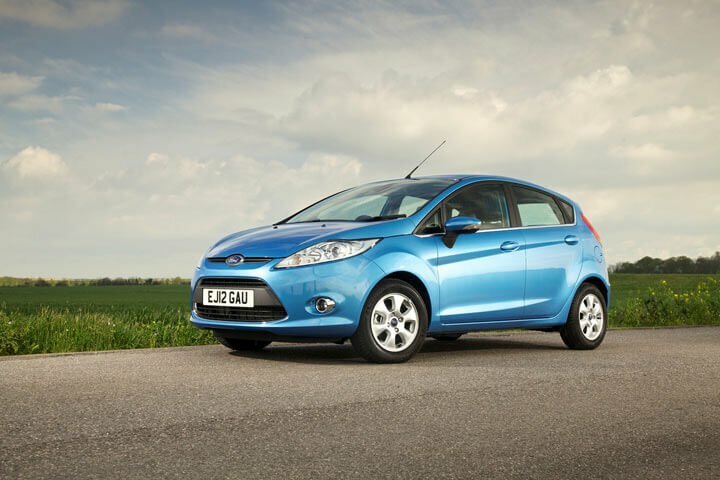 During the first three quarters of 2012 Ford increased its share of the British car market. Vauxhall remained the second strongest car brand in the UK followed by Volkswagen, Audi, and BMW. The Ford Fiesta was again Britain’s favorite car model followed by the Vauxhall Corsa and Ford Focus. In contrast to most major European markets, the British car market expanded during the first nine months of 2012. New passenger vehicle registrations for January to September 2012 totaled 1,620,609 cars, an increase of 4.35% over the same period in 2011. Third quarter sales, which were very weak in France and Germany, saw a solid 7.5% increase in car sales in the UK. Ford remains the strongest selling car brand in the UK during the first nine months of 2012 and increased market share slightly. In contrast, second place Vauxhall saw sales slip while third place Volkswagen underperformed the market. Of the top 15 car brands in Britain, only Vauxhall failed to increase sales during the first three quarters of 2012. German premium car brand manufacturers Audi, BMW, and Mercedes (and Porsche) all saw solid growth during the first nine months of 2012. French manufacturers have been struggling in Europe but Peugeot and Citroen had positive growth in the UK during the first nine months of 2012 while Renault continued to perform disastrously. Nissan and Toyota, as most other Japanese carmaker, are recovering from supply problems in 2011 and regaining market share in Britain. South Korean carmakers Hyundai and Kia both had solid growth and hover just outside the top ten. Compared to full year 2011, the Ford Fiesta maintained its position as Britain’s favorite car model while the Corsa and Focus swapped places. The VW Golf , Germany’s favorite car, managed to hang onto fourth place – its replacement has just been shown at the Paris motor show – as did the Vauxhall Astra at fifth. The Vauxhall Insignia, last year’s number six, slipped out of the top ten while the Nissan Qashqai improved from ninth. The VW Polo and BMW 3 Series swapped places while the Mercedes C Class and Fiat 500 are new entries on the top ten list of best-selling cars in the UK. The Mini lost its tenth place from last year.